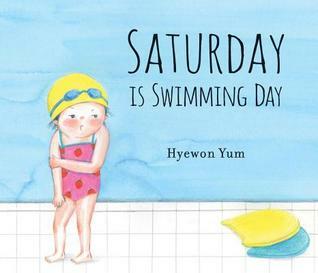 Abby the Librarian: What My Niece is Into: Swimming! We had the absolute pleasure of going on vacation with my family earlier this summer and my niece (almost 2) is so into SWIMMING! She's made huge strides (strokes?) even just since our vacation a month ago. When my brother brought her to our parents' condo for Father's Day she could swim the entire length of the pool by herself (floaties on, of course, but no help from Auntie Abby!). 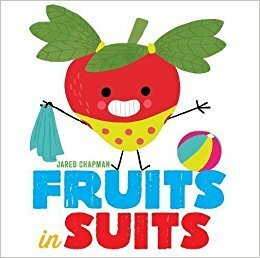 Fruits in Suits by Jared Chapman (Abrams, board book edition June 2018). Jared Chapman wrote and illustrated one of my favorite SURE BET readalouds, Vegetables in Underwear, which works with a wide range of ages and is hilarious to all. 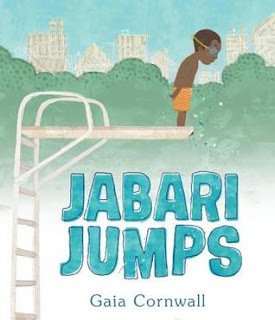 This book is a similar concept - fruits in all kinds of swimsuits - and it's just as adorable. Swimsuits aren't quite as funny as underpants (nothing is, really), but there's the one fruit who doesn't get it and tries to go swimming in his business suit. And of course someone tries it in its birthday suit! With bright, funny illustrations and a swimming theme, it's just the thing my niece is into right now! This one's also available as a picture book, which would be a better format for sharing with groups. Try this one in fruit or food themes storytimes, summer or swimming storytimes, or insert wherever you need something to elicit the giggles. Review copy purchased by moi.